Is it my ISO or Dolphin with the preloaded AR Codes? So, take for example, Twilight Princess. There are a massive amount of codes preloaded when I go into the Properties>AR Codes section. The same goes for Mario Sunshine, but not as many. The funny part is, most of the codes for Mario Sunshine don't even work, and the bulk of the codes for Twilight Princess are either game-breaking or they crash Dolphin. I understand this isn't your fault devs, I was just making it known for the sake of this topic. Now what I want to know is, how does Dolphin handle AR Codes? And why does it not need the Master Codes? Did the devs just find a bunch of codes on the internet and add them themselves, or is that my ISO? For the record, I did use a huge amount of AR Codes on my games in the past. With this in mind, I noticed in Twilight Princess, if I disable a code, sometimes it won't even disable, this is after I've even cleared the config file, and loaded the game the proper way, as I almost always use Save States. Usually if I disable a code and it doesn't actually disable, I have to load my save the standard way instead of through a save state, and this works most of the time. I've been using Dolphin on and off for about 2 years, so I'm not necessarily new to the whole thing, but I've definitely had quite a lot of questions build up over the time that I've never asked until now. 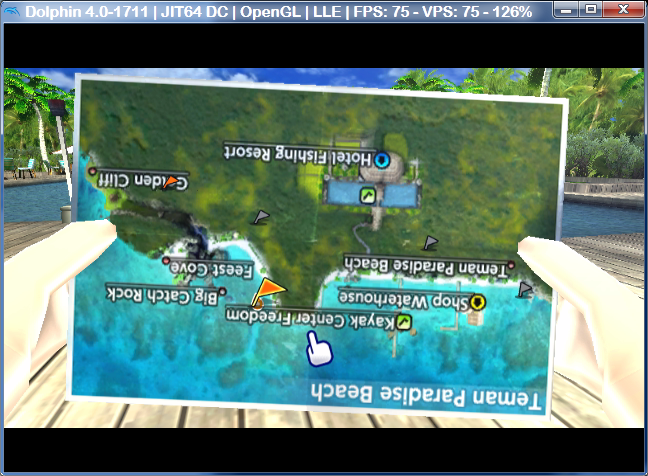 It´s Dolphin "who" comes with preloaded AR codes. I used to have the same issued you had with SMS. And if it´s allowed, I suggest that AR code database should be updated every 10 builds. (10-28-2013, 12:52 AM)DJBarry004 Wrote: It´s Dolphin "who" comes with preloaded AR codes. How does one update an AR Code Database? Replacing broken codes with new ones (if available). If not, they should just be deleted. Oh I see what you're saying, find more/new codes and replace them? As you've noticed, the cheats are saved in the save state. Dolphin does not need master codes because the emulator has an in-built function that does the same thing that the master code does.